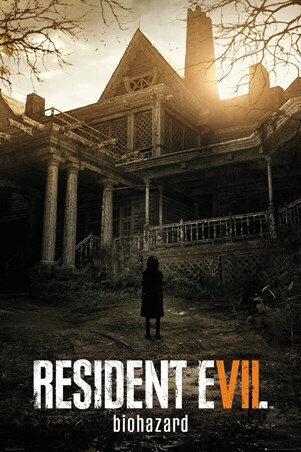 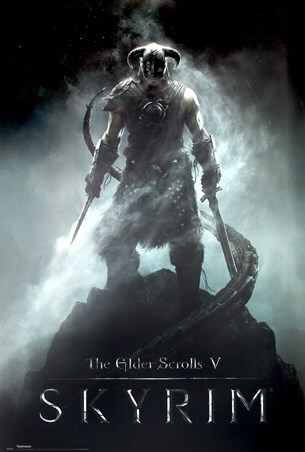 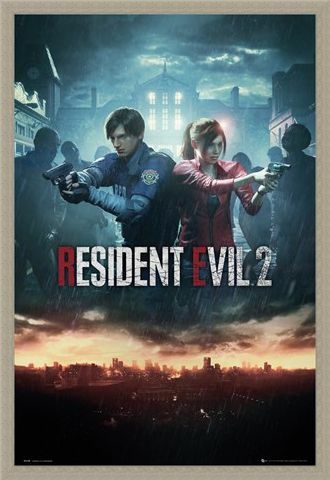 Returning to the nineties for a spectacular revamp, the creators of the Resident Evil gaming series have done it again, with reviews praising the faithfulness to the original 1998 saga. 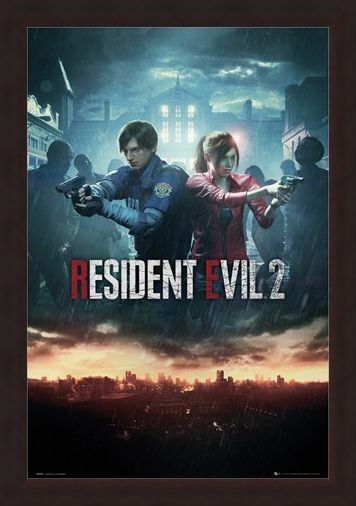 Go for rookie cop Leon S. Kennedy or the studious college pupil, Claire Redfield and enjoy hours of game-play, filled with thrills and chills capable of terrifying the most competent of survival-horror buffs! 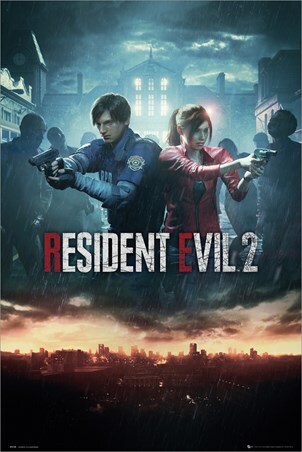 Featuring the two main characters, armed and surrounded by the undead, this wicked poster from Resident Evil 2 is bound to get your reaching for your control, again and again! 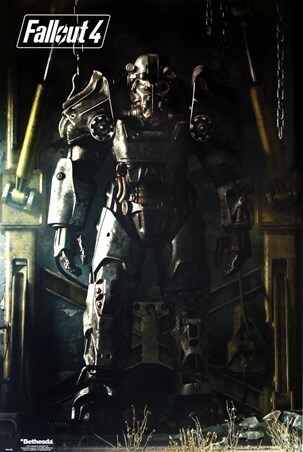 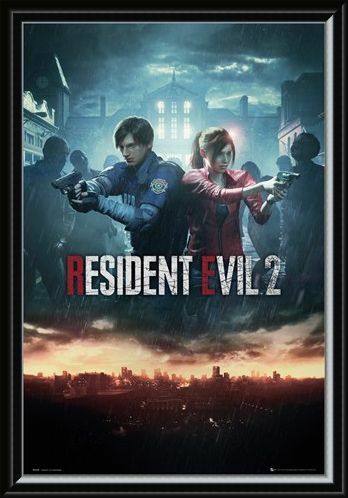 High quality, framed City Key Art, Resident Evil 2 poster with a bespoke frame by our custom framing service.